You don’t really need a full Internet security suite. However, many people like having them — and they pay dearly with subscription fees. But you can assemble your own security suite for free. We’ll be using a variety of free programs to get you all the features you would get out of a comprehensive security suite. All you lose is the integration — there’s no single interface that brings all of these features together. 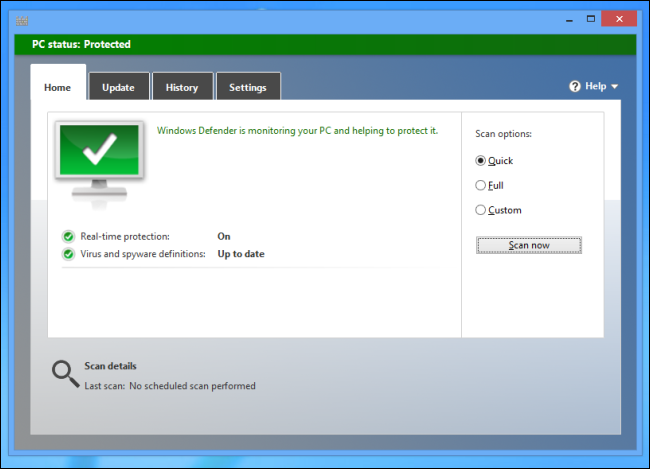 Microsoft Security Essentials or Windows Defender: Microsoft offers their own free antivirus program. It’s included with Windows 8 as “Windows Defender.” If you’re using Windows 7, you can download it from Microsoft as Microsoft Security Essentials. Microsoft isn’t trying to sell you a paid antivirus program, so this program doesn’t nag you to upgrade as other free antivirus programs tend to. AVG Free: AVG offers a free version of its paid antivirus product. It will likely nag you to upgrade to the full version at some point, but all the basic antivirus functionality you need is free. avast! Free: avast! also offers a free antivirus product with “the essential protection” — in other words, the antivirus functionality. avast! would like to sell you their security suite, but all the essential antivirus functionality is included with the free version. Comodo Firewall: Computer security company Comodo offers their popular Comodo Firewall for free. It automatically blocks outgoing connections if a program isn’t recognised as safe, asking you for input. ZoneAlarm Free Firewall: The well-known ZoneAlarm is still around, offering a free firewall that allows you to easily manage which programs can connect to the Internet. AVG LinkScanner: AVG makes its “LinkScanner” available for free, telling you whether pages that appear in Google searches are safe. McAfee SiteAdvisor: The SiteAdvisor feature included with paid versions of McAfee is available for free if you want to install it separately. Web of Trust (WOT): Web of Trust is a little different from the above tools. It’s a reputation system for the web. When you see a link on a search page or visit a website, you’ll see an icon representing the site’s reputation. If other people have had problems with the site — whether it’s infested with malware or is just an untrustworthy shopping website — you’ll see information about other user ratings. You can leave your own ratings, too. 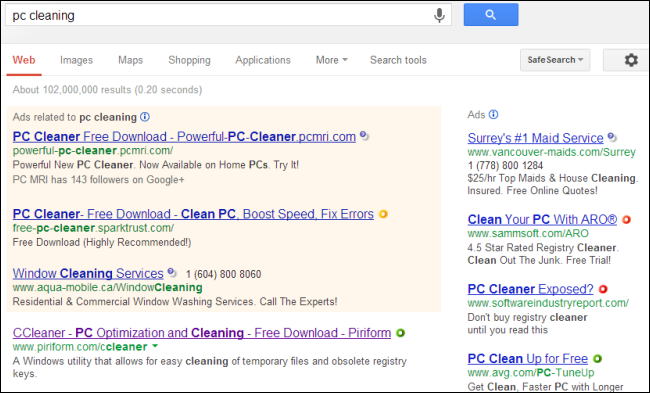 Many security suites have PC cleaning and optimization features. These won’t really speed up your computer — at least, no more than you could speed it up on your own using tools built into Windows. However, these tools can be useful to free up space used by useless files on your hard drive and delete private data in programs you use:. CCleaner: CCleaner is completely free and is the preferred tool for everything from deleting useless files to removing private data like cookies and browser histories. It also includes a registry cleaner — use it if you really must clean the registry — and other useful tools, including a startup programs manager. Disk Cleanup: If you just want to run a quick cleanup to delete temporary files, you can use the free Disk Cleanup utility included with Windows. Clear Cookies Automatically: Many Internet security suites consider cookies “threats.” They come back each time you visit new websites, so the Internet security suite gets to keep removing this “threat.” If you really want to clear your cookies, you can just have your browser automatically clear cookies each time it closes. Parental Controls: Security suites may allow you to set parental controls, filtering the web for inappropriate content and even controlling when your children can use the computer. You can set up parental controls for free, either using the tools built into Windows or using free, third-party software. Track Your Laptop: Some security suites allow you to track your laptop if you ever lose it or it’s ever stolen. As long as you set up your laptop for tracking ahead of time, you can remotely locate your laptop if you ever lose it. Spam Filter: Security suites often include spam filters, but spam filters are built into popular email providers like Gmail, Outlook.com, and Yahoo! Mail. You shouldn’t need to manually configure your own spam filter in this day and age. If there’s another feature you want, perform a Google search for it along with the word “free” and you’ll probably find a solid, free solution. Paid Internet security suites are a luxury product, providing many nonessential features in a convenient package.